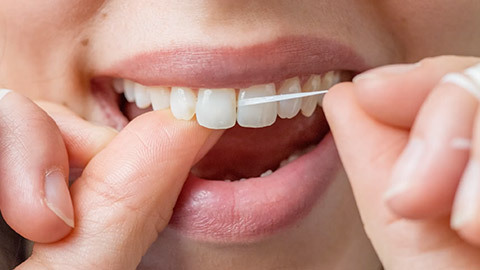 Daily brushing and flossing is essential to maintaining healthy teeth and gums, but it's also important to go for regular oral hygiene visits at Cove Dentistry. During these appointments, your hygienist will "scale" your teeth -- removing tartar build-up -- and polish the surface -- removing minor stains. You may also receive a fluoride treatment to help fight decay and ensure clean, healthy teeth. But these visits are more than simply a professional cleaning -- they are a key part of preventative maintenance. The visits provide an opportunity for your Cove Dentistry hygienist to tell you if you are brushing and flossing correctly, and for your dentist to examine your teeth and gums for potential problems. If your teeth require restorative work, it's important to find out as soon as possible in order to prevent the decay from spreading. It's also important to have your gums inspected, because periodontal disease (gum disease) can lead to serious health problems -- including heart attacks. If you need more information about Oral Hygiene/Cleaning in Oshawa, contact us today.